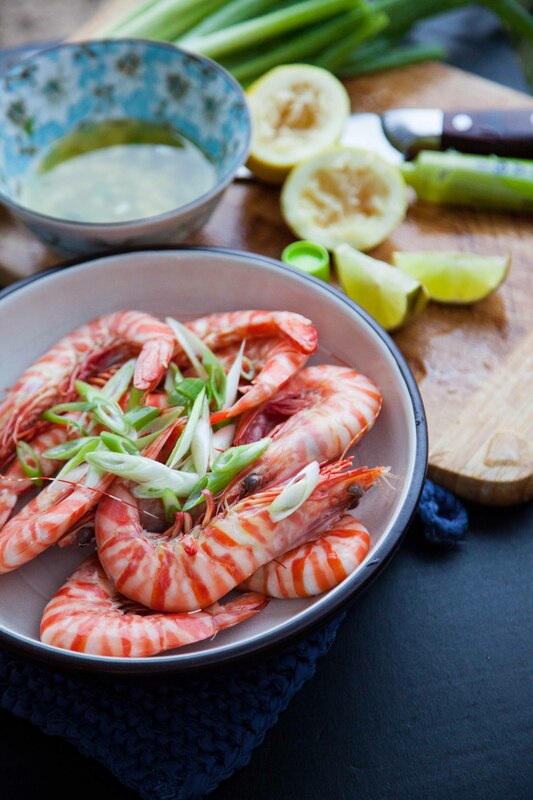 A good sauce or vinaigrette is essential to enjoy really fresh seafood from the pristine waters of Australia. Uncle Frank being a seafood enthusiast, brought home lots of fresh seafood. Made this lovely wasabi lemon vinaigrette on our first day at Perth as a condiment great with scallops, steamed tiger prawns and Coffin Bay oysters. Mix all ingredients together except the scallions. Whisk till it is well combined and is slightly an emulsion. Add the scallions to the mixture. 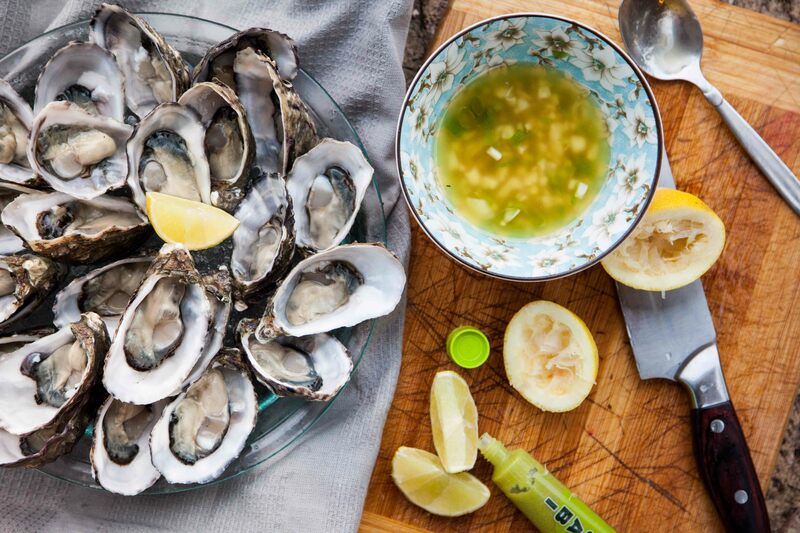 Drizzle a little onto the freshly shucked oysters or use as a dip for steamed tiger prawns. Tip: You can keep the wasabi vinaigrette for a couple of days in the fridge adding the scallions only when it is to be consumed. The wasabi vinaigrette can be made a day in advance and stored in a air-tight container in the fridge.